Knit garment items take place in the first position (according to the number) among all the others readymade garment items produced in Bangladesh. As a result, a huge number of knit fabrics are needed in knit garment manufacturing factories. A lot of knitting mills are working 24hours to fulfill their demands. We should know the name of those top knitting factories. 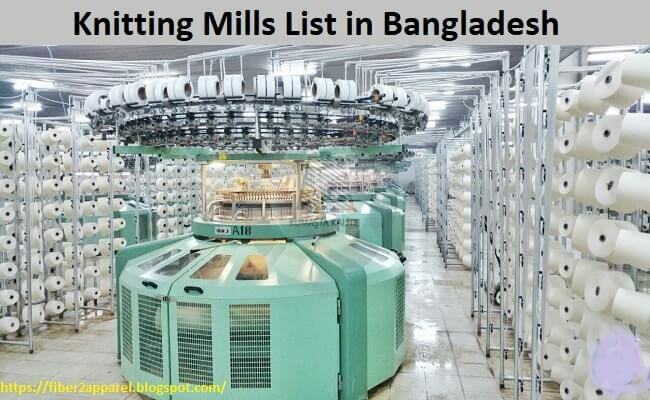 Here, I will present here a list of top twenty knitting mills alphabetically. You can suggest your desired factory name to place in the top list. Your advice will be highly appreciated. 9. List of Top Embroidery Factory in Bangladesh. Factory Address: Konabari, Kashempur, Gazipur. Sonargaon Janapath, Sector- 7, Uttara C/A, Dhaka. 12. New Town Knitwear Co. Ltd.
Sector # 03, Uttara, Dhaka-1230.